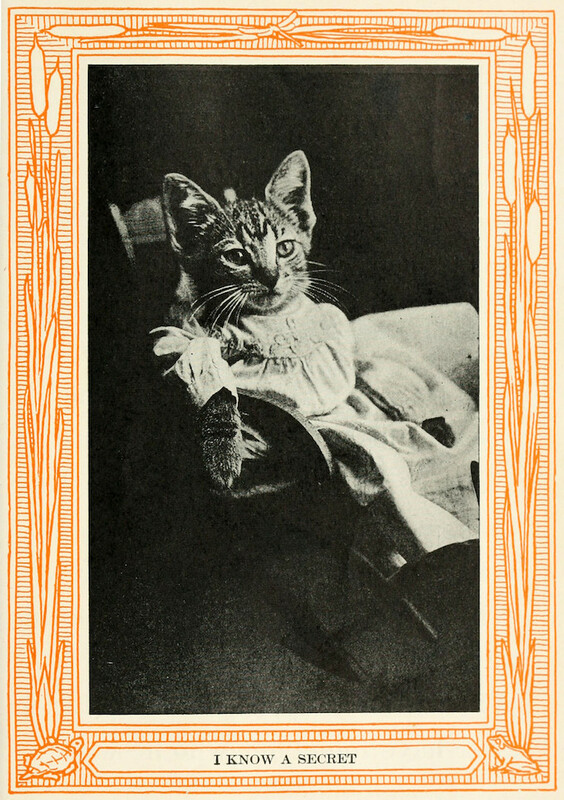 Kittens and Cats; a Book of Tales, by Eulalie Osgood Grover; 1911; Boston, Houghton Mifflin. 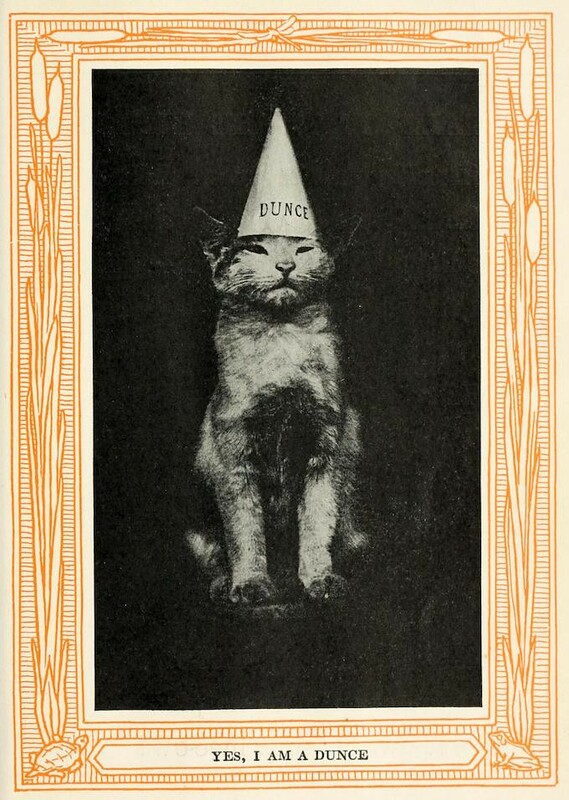 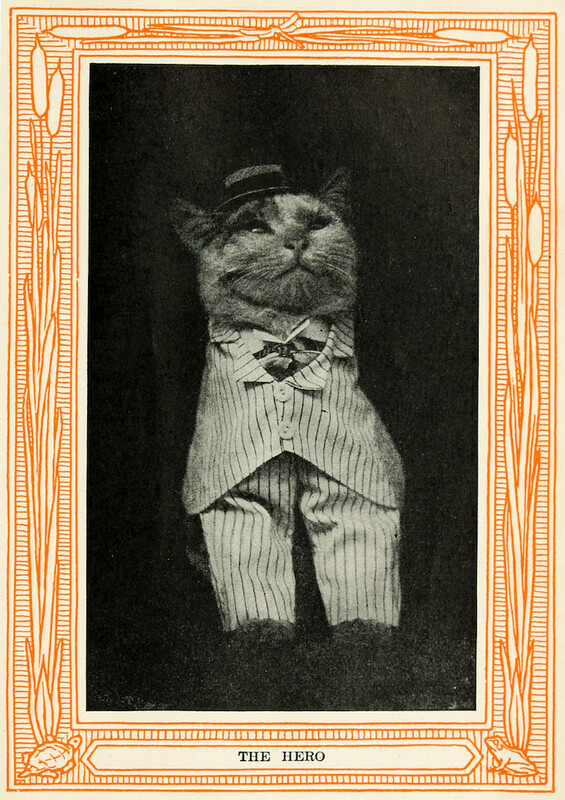 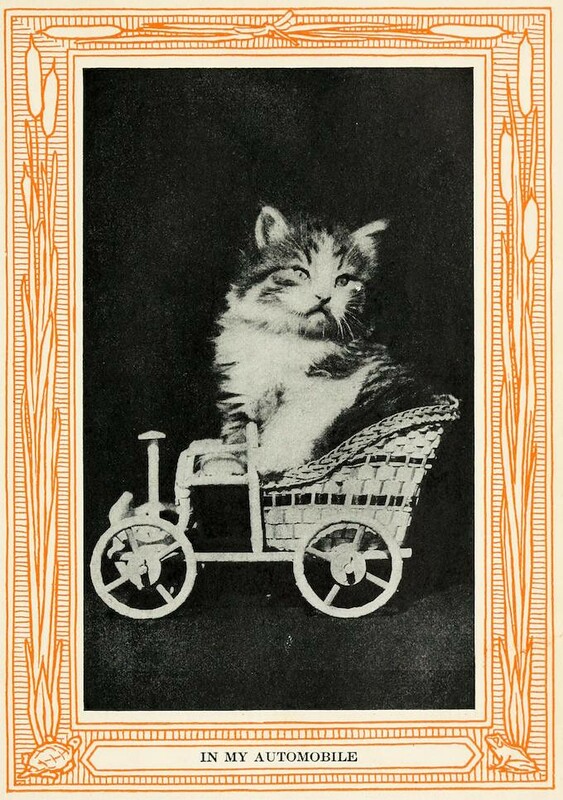 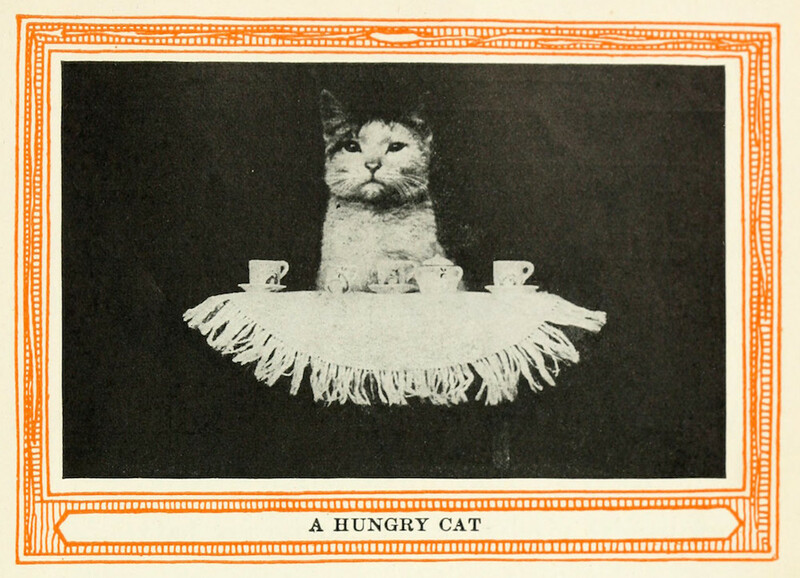 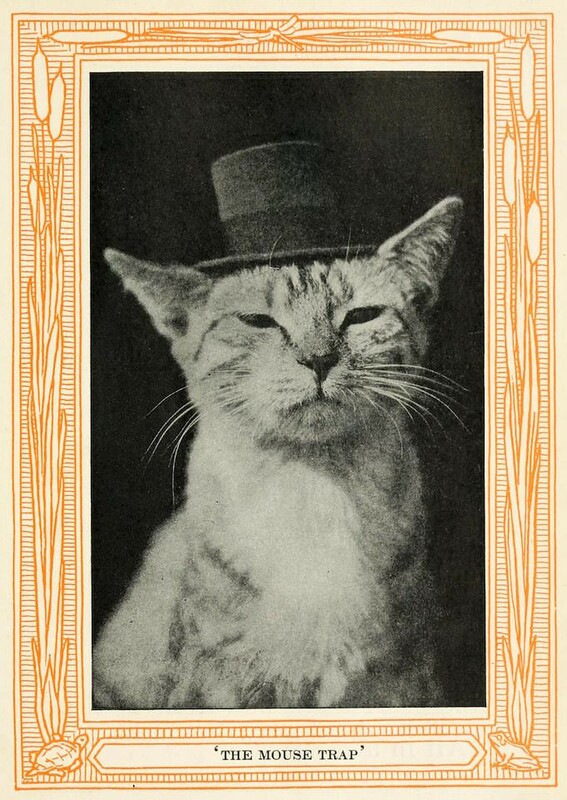 Before LOLCat, Grumpy Cat, Longcat, Nyan Cat, before all the famed kitties of the internet age, before the modern computer was but a glint in Mother Turing’s eye, there were the felines featured in Kittens and Cats: A First Reader (1911). 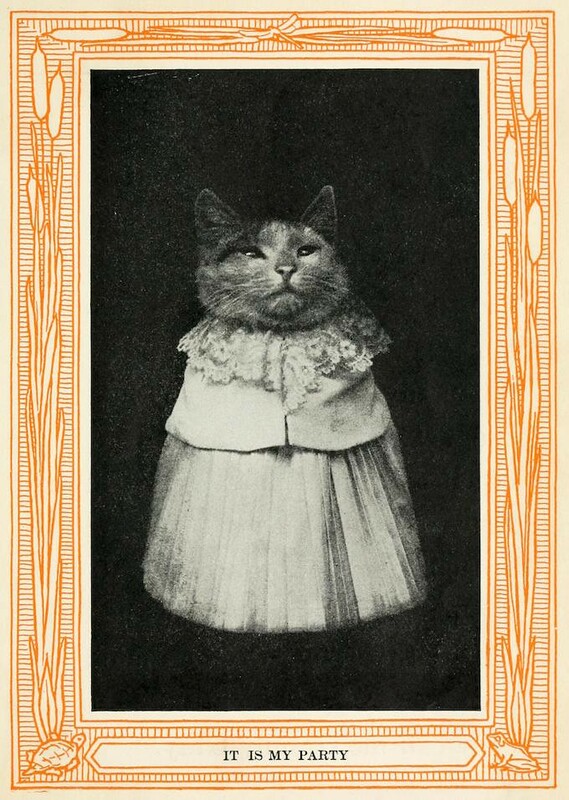 If this delightful, yet also slightly creepy, book is anything to go by then taking photos of cats and brandishing them with an amusing caption was far from being a phenomenon born with the internet. 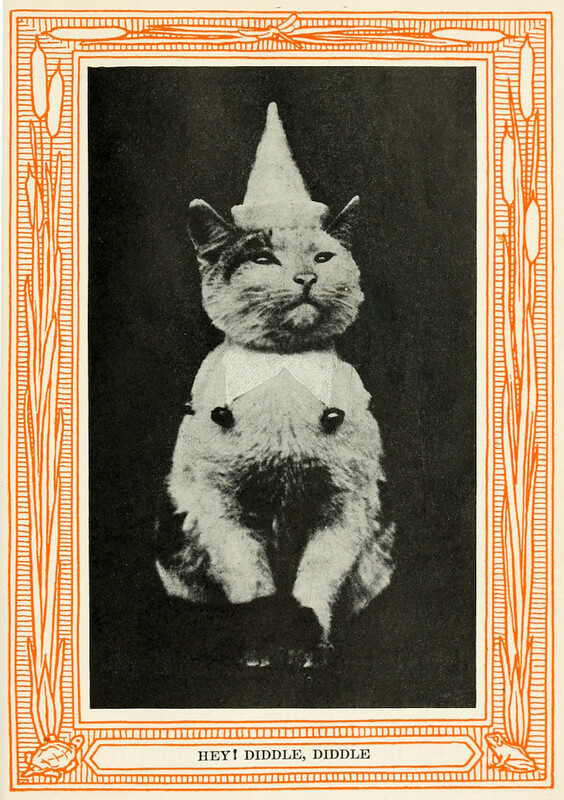 Within its pages we meet “Queen Cat”, “Dunce Cat”, “Party Cat”, and perhaps our favourite “Hero Cat”, amongst others. 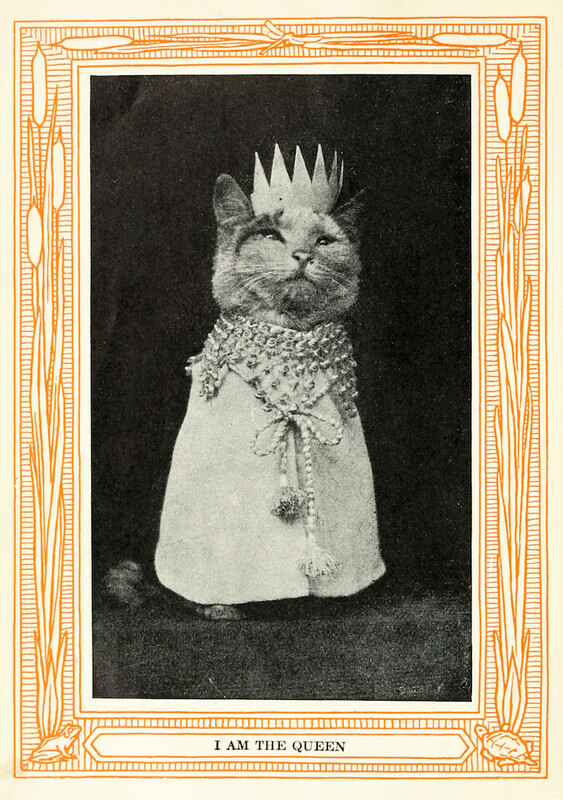 The book is attributed to the American children’s author Eulalie Osgood Grover, who weaves about the pictures the tale of the Queen’s party and all the kitty characters attending. 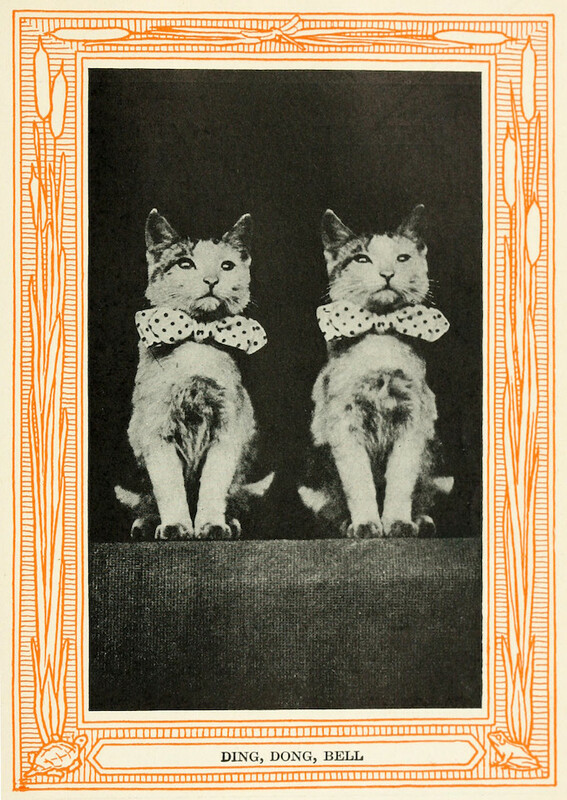 As for the photographs themselves, the book states them to be courtesy of the Rotograph Company, a popular postcard manufacturers, which implies they are almost certainly an early example of the work of Harry Whittier Frees, their staff animal photographer. 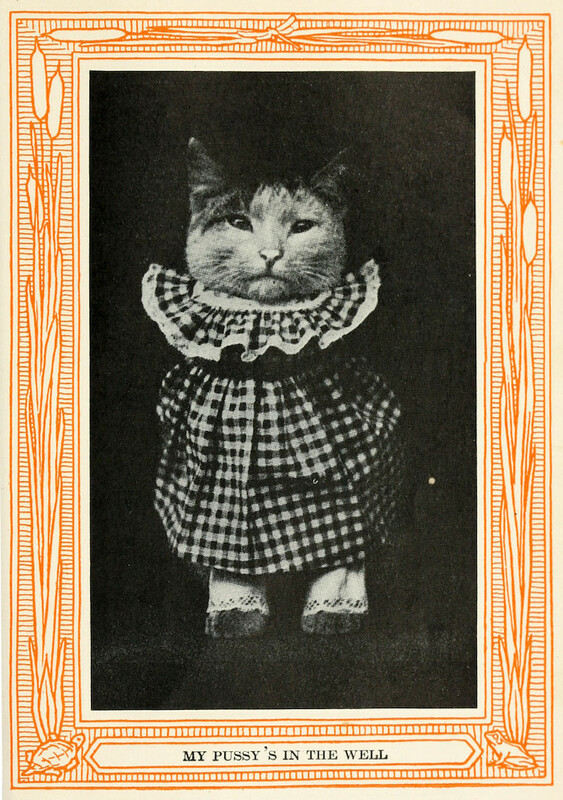 A few years later Frees would become associated with a whole host of similar pictures under his own name, with the publication in 1915 of his The Little Folks of Animal Land, which was followed by the publication of a number of further such collections until he ended his own life in 1953. 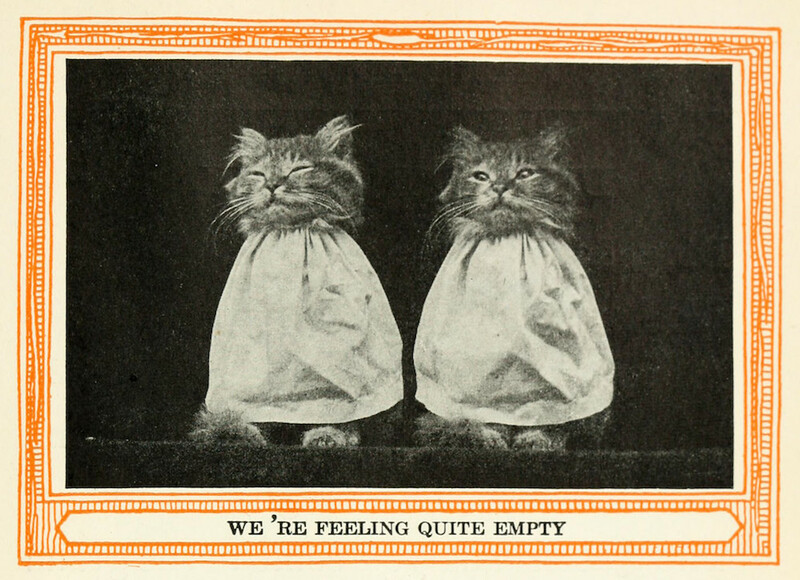 How did Frees get his cats to pose for such photographs, even more remarkable before the days of super quick shutter speeds? 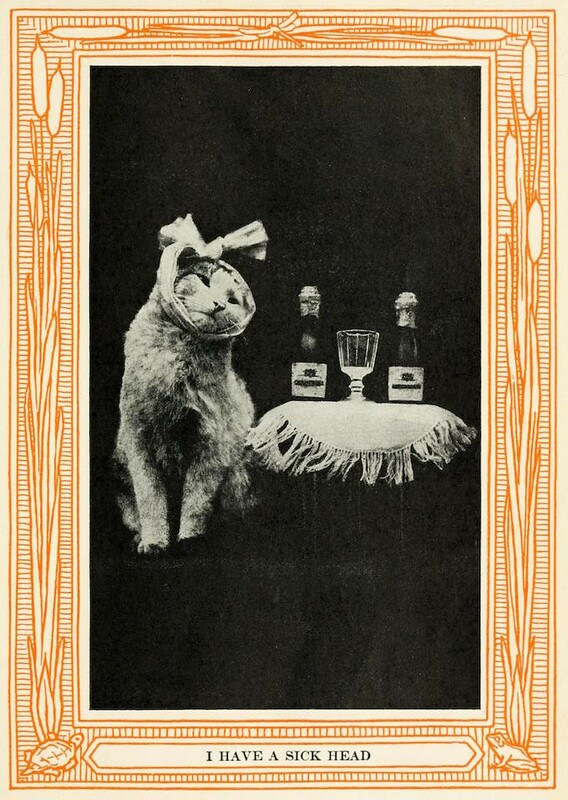 Although he denied the use of dead or taxidermied animals, and insisted only humane methods were used, one can’t help but wonder if this is really true, especially in the case of his later work which involved more elaborate tableaus than displayed in this book.